What Is a Surge Protector and Why Do I Need One? 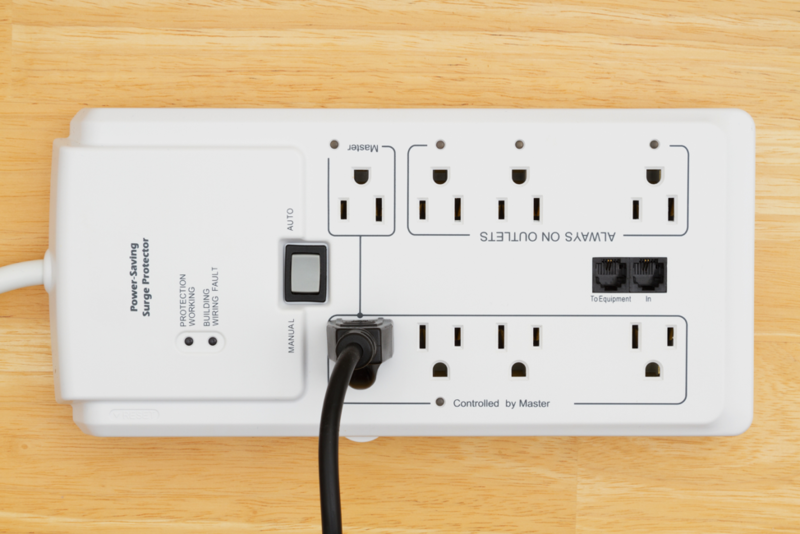 A surge protector is essentially a safer way to add more outlets. No, they’re not simply an extension of your wall outlet, but more heavy-duty devices with built-in protection. A surge protector can detect voltages over a certain limit; if so, it will divert the excess electricity to the grounding wire (this is what the third prong, or grounding pin, on a plug is for). An electrical surge can come from lighting as well as high-power appliances such as air conditioners, computers, televisions, and media systems. Oftentimes it is the combination of multiple active devices that creates an overload, which demands a call to an emergency electrician to find and correct the problem. Surge protectors come with many advantages. Wiring systems are rated for 120 volts in the United States; anything higher than that can seriously damage electronics and appliances. An overload could literally fry your computer. If you have a surge protector and there is an electrical surge, your devices will not be damaged. Voltage measures the difference in electrical potential energy as current moves across a wire. A surge is a voltage increase that lasts for 3 three nanoseconds or more; a spike lasts only one or two nanoseconds. High voltage can heat up and burn a wire until it fails. Electrical components may wear out faster as well. Electricity is diverted to the grounding wire in an outlet. Most surge protectors include a metal oxide varistor (MOV) to accomplish this. This connects the hot power line to the ground line during a surge or spike. Two semiconductors in the MOV, joined by metal oxide, respond to high voltages by conducting more current, diverting only the surge current while letting the standard current continue to power any active machines. UL rating: A good surge protector has been independently tested by Underwriters Laboratories. Clamping voltage: Measures when the unit starts redirecting excess electricity from devices (under 400 V is fine for homes). Joule rating: Indicates the maximum amount of energy the unit can handle (should be at least 600). Response time: How long it takes to detect an electrical surge (look for 1 nanosecond or faster). Get more outlets: It pays to invest in more outlets, because you’re likely to add more electronics once the unit is plugged in. Always keep your surge protector connected: You never know when a voltage surge might hit; newer electronic devices have smaller, more delicate components that are highly sensitive to increases in current. Replace it after a surge event: Some surge protectors don’t indicate when they wear out; if there was a serious electrical event, replace yours as a precaution. If you’re not sure what kind of surge protector to get or if you experience frequent electrical surges, Express Electrical Services can help. We provide same-day and emergency electrical services in Los Angeles, Orange County, Riverside County, and all of Southern California—24/7. Keep your home and family safe by giving us a call or requesting service today.